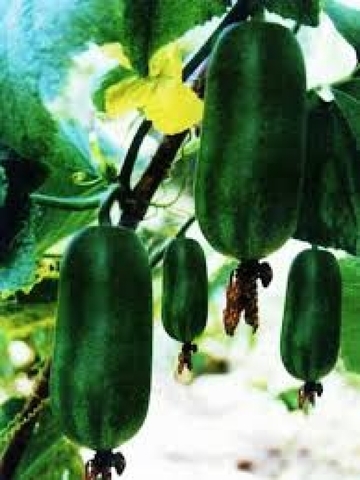 This early variety produces short cylindrical fruits that mature to about 6” long by 3-4” in diameter. They are sweet and mild with succulent flesh. This gourd is has heat and stress tolerant. 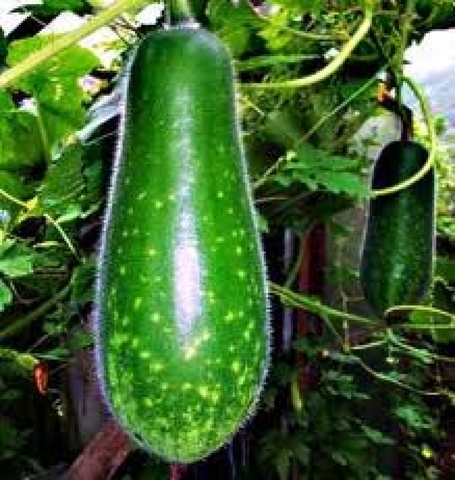 In flavor, this vegetable is similar to courgettes, which is the French name for zucchini. 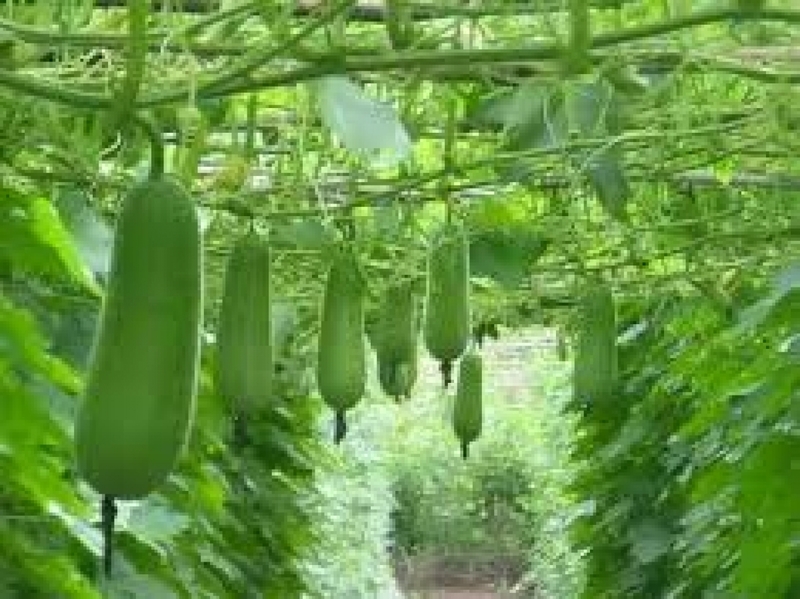 Mokwa Long fruit is best harvested at 5" to 6". It is produce cute fruits with and bottle shaped. Like all hairy melons or jointed gourds, a downy hair covers the skin, which is medium green with white spots. You can remove the hair by peeling or scrubbing, or let it disappear in cooking. 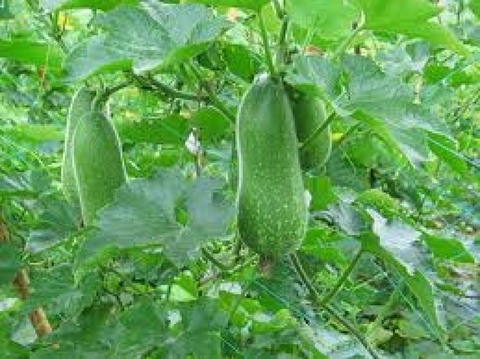 Like other jointed gourds, Mokwa Long are best when cut and cooked lightly - steamed or stir-fried - or added to soup. It has a good sweet taste, you mokwa gourd as a substitute for zucchini. To retain best flavor, do not overcook. Cut into chunks for steaming, stir frying, soups or braising. Stuff hollowed melons with meat and bake. Spacing : 48" - 72"
Size : 6" - 8"